Note that the width and height are set to "wrap_content" to make the button fit neatly around the text. 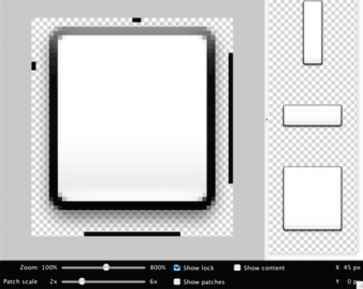 Below are the two buttons rendered from the XML and NinePatch image shown above. Notice how the width and height of the button varies with the text, and the background image stretches to accommodate it.